When Congress returned to D.C. last week from its two-week recess, they had only five legislative days to pass funding before the federal government shutdown on Friday, April 28th. On Friday Congress passed - and the President signed into law - a one-week continuing resolution (CR), the third CR for this fiscal year. Subsequently on Sunday evening, Congressional appropriators reached an agreement to fund the government until October 1, 2017 through the ”Consolidated Appropriations Act, 2017.“ The Omnibus Appropriations bill combines all 12 of the FY 2017 appropriations bills (to include defense appropriations). Expected passage of the appropriations bill will: 1) end the threat of a partial government shutdown 2) end the possibility of a year-long CR and 3) provide the Defense Department with approximately $15 billion more to address immediate readiness needs.AFA's website. The funding appropriated for this year arrests the decline in Air Force readiness but stops well short of fixing their long-term readiness problems or adequately address their recapitalization and modernization needs. The agreement merely kicks the proverbial can down the road on sequestration from the Budget Control Act of 2011. The debate now turns to the FY 2018 budget for the new year beginning October 1st. Unfortunately, the initial optimism has dimmed on seeing large increases in national security funding. We can expect the next budget discussions to be even more contentious as several issues return, such as border wall funding; Planned Parenthood funding; and the Affordable Care Act with new issues to address including Taxes and increased defense spending. Air and Space superiority are not American birthrights and need to be fought for and won. AFA is advocating tirelessly to make congressional decision makers aware that the Air Force needs stable and predictable (Regular Order) spending bills, at sufficient levels, that adequately fund their ever-growing missions, enables them to grow their force, modernize their bases, and allows them to recapitalize their aging weapon systems. SECAF Nominee Awaits Confirmation: Dr. Heather Wilson, President Trump’s nominee to become Secretary of the Air Force, had her nomination hearing before the Senate Armed Services Committee on March 30th. The full Senate will hold her confirmation vote on Monday evening, May 8th. Read more. Letter to Editor: Van Cleef: Pass a defense budget now (The Roanoke Times, April 27, 2017)…Brig Gen (Ret.) 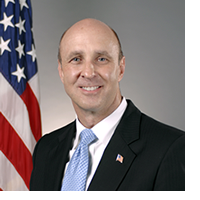 Scott Van Cleef (Former AFA Chairman of the Board) “Our military is building and is rapidly becoming stronger than ever before.” So said President Trump in an April 16 tweet. If only it were true. To meet its mission, the military needs to grow and become stronger, but can’t. Why? Because Congress has not passed a 2017 defense budget. More than halfway through the year, the government is still operating on a continuing resolution (CR), freezing spending at last year’s levels. With no action by April 28, the government will shut down…again.” Read more. AFA Signs Coalition Letters to Address CR The AFA joined the Enlisted Association of the National Guard of the U.S. (EANGUS); National Guard Association of the U.S. (NGAUS); and the Reserve Officers Association (ROA) in sending coalition letters to the Senate and House Committees on the Budget and Appropriations to seek full defense appropriations. Read more. More Pentagon Nominations President Donald Trump plans to nominate Kari Bingen as principal deputy undersecretary of defense for intelligence and Robert Story Karem as assistant defense secretary for international security affairs. CRS analyzes defense spending under the Budget Control Act The Congressional Research Service (CRSO released a new report which analyzes the effect of the 2011 Budget Control Act (BCA) on defense spending. The law directed across-the-board spending cuts in fiscal year 2013 and set spending caps on defense and domestic discretionary spending through 2021. The law “has been a major hurdle in enacting annual spending legislation.” Defense Hawks seek increased defense spending above the spending caps while Democrats want equal increases in non-defense spending. The report also examined how the budget law affected DoD’s war-related Overseas Contingency Operations (OCO) account, which is not capped and has been used to fund capped programs. USAF is Great Investment for Global Vigilance, Global Reach, Global Power The Congressional Budget Office (CBO) released its analysis that the Navy’s build-up toward a 355-ship Navy would cost an average of nearly $27 billion a year over the next 30 years--60 percent increase above what Congress has allocated on average for shipbuilding. The CBO concluded that it would require 18 years for the Navy to achieve the 355-ship goal. Military Health System (MHS) AFA’s Government Relations has been attending Executive Council and Working Group meetings at the Defense Health Agency (DHA). Last week, the focus was on the new TRICARE Dental Program (TDP) transition from the contractor, MetLife, to United Concordia Companies, Inc. (UCCI) on May 1, 2017. The new TRICARE contract requires UCCI to provide a network of providers where at least 95 percent of enrollees must have access within 35 miles and 21 days. “Overall, this year’s statistical data indicate that the Department is making progress toward its dual goals of reducing the occurrence of sexual assault and encouraging greater reporting of the crime. In fact, this year’s data suggest that about one in three Service members are choosing to report their sexual assault, up from the one in four estimated for 2014 and the one in fourteen estimated ten years ago in 2006.” Read more. President Trump signed an executive order last month that directs maximum federal purchase of American-made goods. Former Pentagon officials testified that strict adherence to buying American-made goods could negatively impact DoD's acquisition process. Some may have read about a proposal vetted by the House Veterans Affairs Committee to look at shoring up the Post 9/11 GI Education bill by charging new members $100 per month for 24 months. It is but one of a dozen proposals that have been suggested to fill in the $3 billion shortfall. The monthly fee for new recruits would be expected to raise $3 billion in the first 10 years, and then would be used to expand benefits, according to the committee. Committee Chairman Rep. Phil Roe (R-N) said the extra money would "preserve GI Bill benefits for generations to come." "The legislation we are working on with veterans and stakeholders would provide a long-overdue increase in resources so that the spouses and children of our wounded and fallen heroes, as well as reservists, Guardsmen and Purple Heart recipients, can pursue the educational opportunities that they deserve," he said. The initiative was floated by a few associations in D.C. who believe that the Post 9/11 GI Bill should be preserved before it runs out of funding. Some veterans’ service organizations have stated that the $100-per-month proposal should be given consideration. Other associations are strongly in opposition and see the $100 as a tax. Although this legislative proposal is now on hold and has a small chance of becoming law, AFA is working closely with associations and with Congress to ensure our members maintain GI Bill benefits. Earlier this month you may have heard about the 21,000-pound, GPS-guided bomb, also known as the Massive Ordnance Air Blast or MOAB (Mother of All Bombs) dropped against ISIS. In most newspaper clippings it read something like, “The strike used a GBU-43 bomb dropped from a U.S. Aircraft. AFA is proud that it was the US Air Force that changed the strategic landscape by dropping a bomb they developed from an Air Force MC-130 aircraft and shacking tunnels, a very difficult target. The Trump administration initiated the process for a nuclear policy review. The review is typically conducted by each new administration, and this effort is expected to be completed by the end of 2017. The USAF will be protective of the replacement of 400 legacy Minute Man III ICBMs with the Global Based Strategic Deterrent (GBSD), development of the new B-21 Raider bomber, and Nuclear Command, Control, and Communications. The USAF also needs to consider the $23 billion Long Range Stand-off (LRSO) replacement of legacy ALCMs for the bomber-fleet. The Department of Defense portion of the Omnibus funds critical national security needs, including military operations and readiness programs, as well as health and quality-of-life programs for our troops and military families. The bill is consistent with the enacted National Defense Authorization Act for fiscal year 2017. In total, the bill provides $593 billion, an increase of $19.9 billion over the fiscal year 2016 enacted level and $16.3 billion more than the Obama Administration’s request. - $76.6 billion in Overseas Contingency Operations (OCO)/Global War on Terrorism (GWOT) funding. This amount includes $14.8 billion in new funding requested by the Trump Administration. With passage of the 2017 budget, the Air Force would focus on growing end-strength from 317,000 to 321,000 by the end of 2017. They need to grow to 350,000 but won’t be able to until 2023-2025. They would also stress readiness improvement and would be hampered in supporting modernization. The F-35 remains a priority, and they hope to accelerate the B-21 bomber development, Global Based Strategic Deterrent (GBSD), and the KC-46 tanker. AFA had been working diligently on Capitol Hill, in the Press, with other associations, and the Military Coalition to stress to Congress that a year-long Continuing Resolution (CR) would have been devastating to the US Air Force. We held meetings, wrote several op-eds, and collaborated with our chapters to convince Congress to pass the FY17 defense budget now. Under a CR, the Air Force would have been compelled to stop growing the force that is needed to conduct its missions. Obsolete programs would continue to be funded, and the Air Force would be unable to start needed new programs. For the past eight years, this country, a nation at war, has been funded in the costliest way for taxpayers and the riskiest way for our warfighters. Air Force Readiness is at dangerous levels: the service is less than 50 percent ‘ready’ for its missions. They are short 1,555 pilots, 950 fighter pilots, 3400 maintainers and needed cyber specialists. Absent full appropriations for the next five months of this fiscal year, the world’s most predominant Air Force would have traded off readiness to find $2.8 billion in unbudgeted funds. It would resemble sequestration again. The Air Force would have ground non-deployed forces this summer for 2-3 months. They would have stopped purchasing needed munitions that are already at critically low levels. Our defense communities would feel the pain. Civilian hiring would stop. Air Force Chief of Staff General Goldfein testified, “You will have the equivalent of a no-fly zone over your base.” Depot hiring would halt, and aircraft maintenance would be curtailed. Thousands of families would not be able to change assignments this summer and be forced to PCS during the new school year. The Air Force would stop fixing what is broken on bases. Training exercises would cease. Modernization programs would be delayed. 60 program starts would wait, costs would increase, and warfighters would do without. All this degrades readiness, and all this can be prevented. Another CR would have been wasteful for the taxpayers, dangerous to our Airmen, and a devastating shot to the heart of the brave men and women who defend this great nation and the civilians and families that support them. In March, the administration’s Office of Management and Budget (OMB) sent a request to Congress seeking an additional $30 billion in defense spending to address immediate readiness needs. Congress largely ignored the request as it would violate 2011 Budget Control Act spending caps. In the Consolidated Appropriations Act, 2017, additional funding was included in the Overseas Contingency Operations (OCO) section for readiness and warfighting needs, however, the $14.8 billion fell far short of the $30 billion request. In March, President Trump released his FY 2018 budget blueprint to Congress; the full budget is expected to be released in mid-May with congressional oversight hearings running through the summer. Many analysts believe this budget will see far more scrutiny as it requests several items that will not be popular with some such as border wall funding, planned parenthood, sanctuary cities, etc. Tax cuts and the affordable care act might also affect budget negotiations. Competing factions will affect outcomes: Defense Hawks will strive to dramatically increase defense funding, Democrats will seek an equal amount of non-defense discretionary spending, and Fiscal Hawks will try to rein in spending. The president’s budget request is expected to include an additional $54 billion in defense spending bringing the total to $603 billon, a 3.2% increase over President Obama’s last defense budget request. House and Senate Armed Services Committee Chairmen have been calling for at least a $640 billion defense budget to fix readiness and procurement.